Rosin is one of the most important factors in ensuring a good tone quality. It helps to create a better friction between the bow and the strings. Without this friction there wouldn’t be very much musical sound, the bow would slide across the string and produce a faint whispery sound. 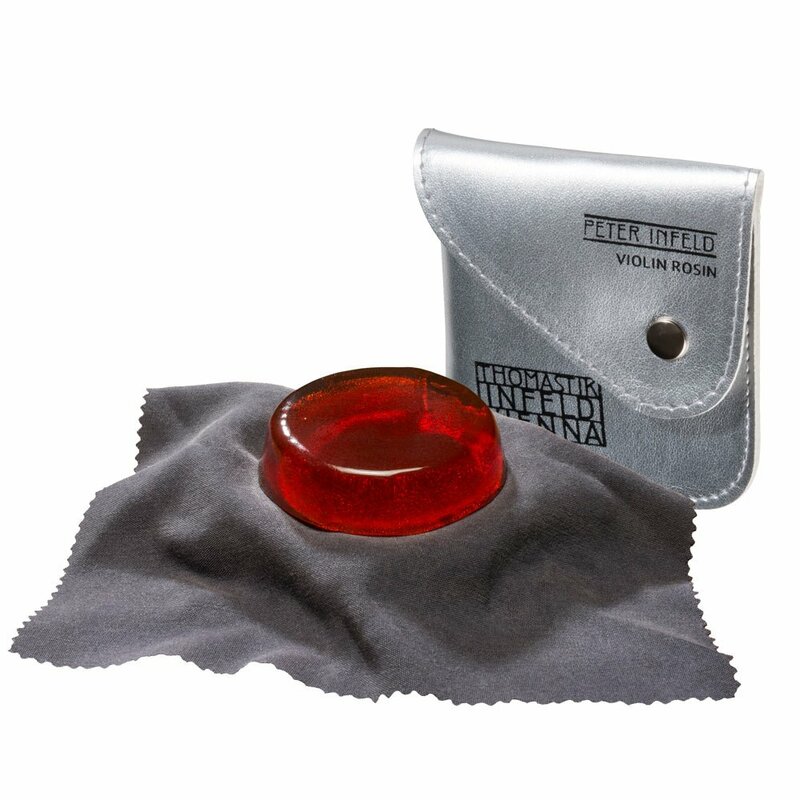 Rosin can immediately change the tone of your instrument and also significantly affects the response. Thomastik-Infeld Rosins are especially designed for specific string lines to offer you the best playing experience possible. They come in individual compositions and degrees of hardness to suit your instrument, accommodate your playing style and allow for different climates. They enable the bow to grip the string without sounding rough or coarse.